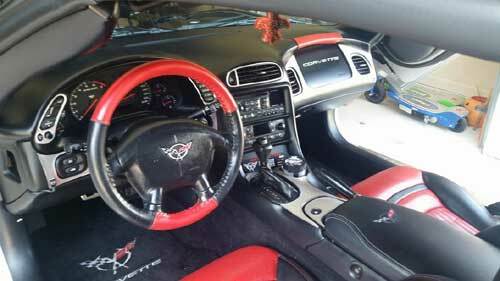 Brian Pitere is a Vette fan that made the transition from a C3 to a C5 in 2006. 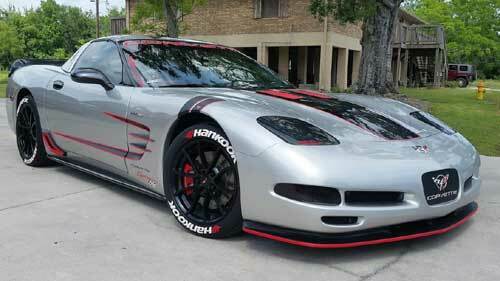 The extensive mods on his 2004 C5 caught our eye while browsing online. Brian started his venture into the modding world in 2008. He literally rebuilt the car from the ground up. the resulting product is truly outstanding. The interior of the C5 was given a complete redo. Brian changed out the conservative ebony leather to a red and black combo.Custom stitching ties the new look together. The dash was removed and given a nickle plating finish. Carbon accents bring modernize the look of the C5. The exterior of Briand toy was given a custom charcoal gray paint with iridescent pearl black ghost effect edging and a special clear coat to top it off. Carbon fiber add ons include a front splitter, side skirts, side pillars and headlight covers. Blacked out marker lights and under body glow lights give the C5 an impressive nighttime look. 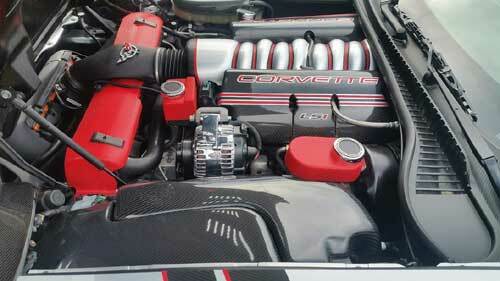 The engine bay has been treated to a tasteful blend of carbon fiber and custom paint. Every under hood component except the radiator shroud and intake cover is black carbon fiber. Red and silver paint really sets off the carbon look. The best part about this project is that Brian did it himself. 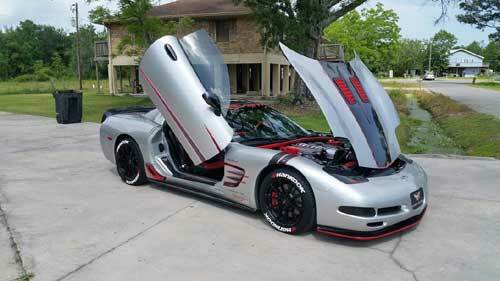 Brian is a member of the Baton Rouge Corvette club. 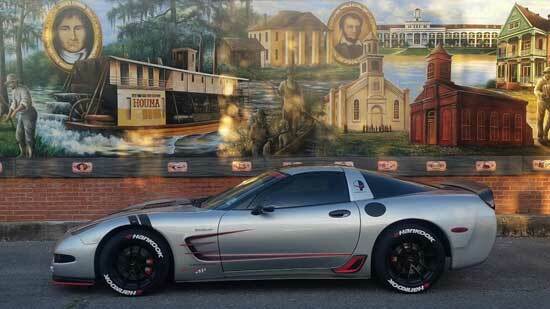 He tells us that the club shows their cars at many shows in the southern US. Brian's C5 has picked up a fair share of trophy's and awards.